Greetings from Lion King Family Suite 6626 at the Art of Animation in the Walt Disney World Resort Complex. I wish I could say that our trip began smoothly, but it did not happen quite that way. We has a small mechanical glitch with our van, that should someone had thought to tell me over the phone, would have gotten us on the way on schedule and saved me a lot of frustration! But, things worked out and WE ARE HERE! 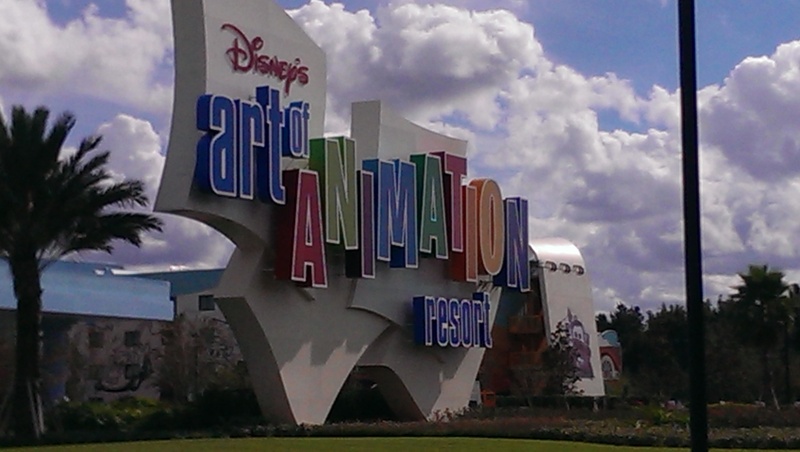 Our approach to the Art of Animation brought ooo’s and ahhhh’s from everyone in the vehicle. The first glimpse of the grounds is stunning to the eye. And, that huge sign let’s you know you ARE in the right place. My wife and rest of the family brought the van around and began unloading, and gave me permission to wander around for a little bit. 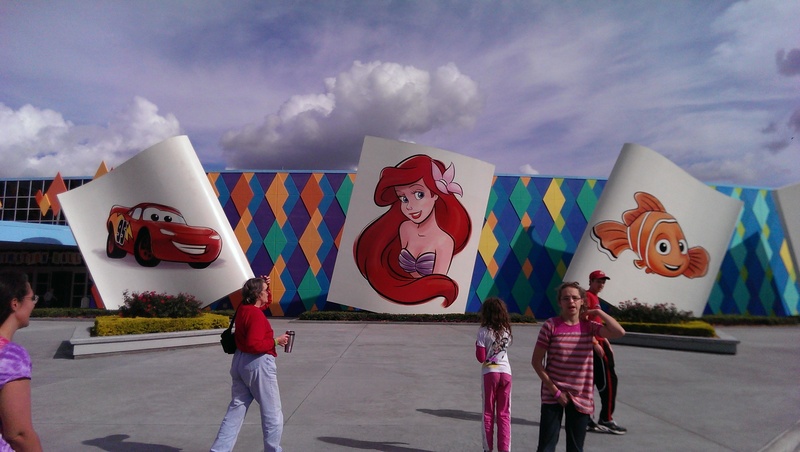 I took my time and really enjoyed the Nemo and Lion King areas as I meandered to my room. So far, MagicBands are doing what they are supposed to do. Once we got settled two of the most special ladies in all the earth accompanied me to Downtown Disney via Disney Transport for lunch at Earl of Sandwich. This was my first exposure to this particular counter service restaurant, and I was NOT disappointed by any means! My girls shared a BLT sandwich and a BBQ Chicken Salad while I got a standard Ham and Swiss with Mustard Sauce. May I say, my sandwich was ANYTHING but standard! It was terrific! 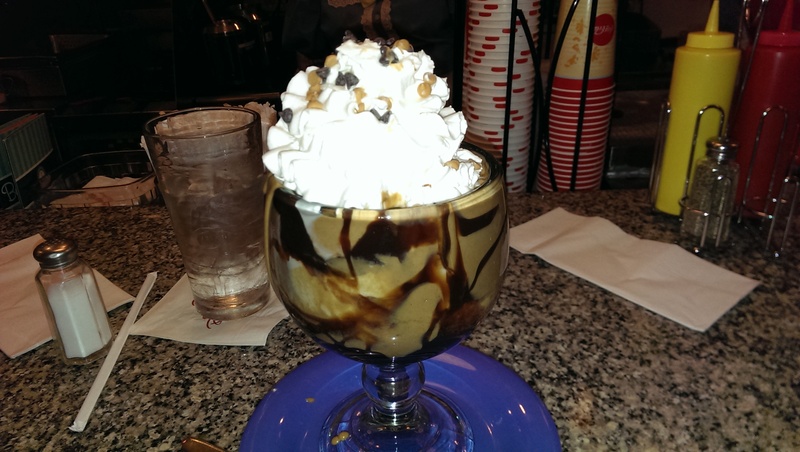 After a few minutes of down time, we headed to Disney’s Beach Club Resort and an encounter with the infamous Beaches and Cream. Some of us just ordered Ice Cream as dinner while others order sides with their Ice Cream to round out an completely unbalanced meal. My son gave his all to the long promised Kitchen Sink, but alas he was unable to overfill his tummy! My wife and I both gave the No Way Jose our best effort, as well. Maybe we were just tired from the long, marathon of a drive, but we just couldn’t be triumphant over those, either! NEWSFLASH!!! Beaches and Cream will become and ADR required restaurant beginning December 18. Reservations are available online or at 407-WDW-DINE. After a walk around the Boardwalk, it was time to retire back to our room. All-in-all we had a very nice beginning to our vacation! Tomorrow: Magic Kingdom Park followed by ‘Ohana!